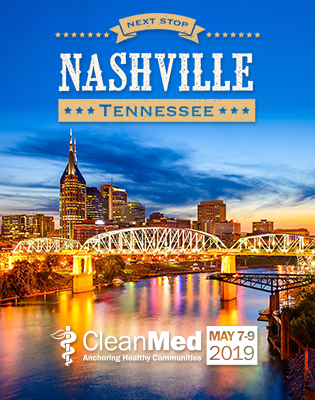 Join regional and national health care professionals, environmental industry experts, and educators for this learning and networking event designed to showcase the measurement practices of hospitals as they journey toward more sustainable environments for hospital staff, patients, and communities. The keynote speaker, plenary session, and smaller breakout sessions will explore how facilities are measuring sustainability success using quantitative and qualitative measures. Areas of measurement may include building design and construction, carbon footprint reductions, chemical usage reductions, community benefits, cost savings, employee engagement and/or satisfaction, patient exposure reductions, sustainable food practices, waste reduction, and water conservation. Still the same low price!